After the despicable incident of an Uber driver sexually assaulting a female passenger, Delhi has been abuzz with activity on two key fronts – protests/legal actions against the accused, and legal actions/sanctions on the cab operators. The former has been covered across mainstream media, this post shall cover what has been happening on the front of business operations and regulations. Just a quick summary of the events that have transpired till date: on 5th Dec, a girl accused an Uber driver of sexual assault. Post that, the said driver was apprehended fleeing and confessed his crime. On further investigation, it was revealed that the driver has had multiple cases of assault and molestation against him, and has even been previously convicted of it. Lack of License: Uber, being a cab aggregator, had ‘decided’ that they did not need license to operate as they were simply working as a kind of ‘marketplace’ for cabs, where they were connecting taxi drivers/ fleet owners with prospective customers. GPS Hardware: The Delhi government rules mention the need of permanent GPS tracking functionality for all cabs. The expectation was that for security reasons, the cab should be traceable at all times. While the Uber app has GPS functionality, it is dependent on the iPhone on which it is installed, and hence can be easily turned off. No Physical infrastructure: This lead to delays in finding documentations with driver details, background check information etc. Background Checks for Drivers: Limited background checks seem to be done on the accused, given that he had a significant prior record for sexual assault which could have been obtained with simple police checks. In light of these, the Delhi government took the decision of banning all Uber operations in the city, and followed it up with the same decision for Ola and Taxi4Sure, both of which are also aggregators like Uber is, operating on a technology-based system. 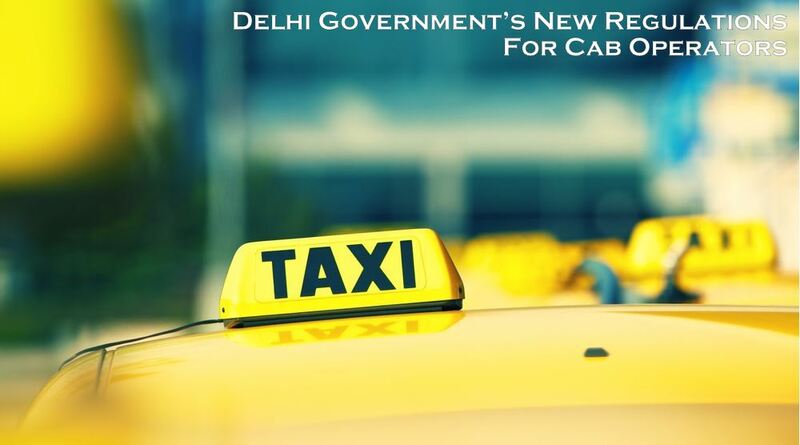 The Delhi Government has recently come up with a set of norms to be applicable to all cab operators, be it radio taxies like Meru, Easy Cabs etc. or App-based operators like Uber and Ola. Driver should hold a license as issued by NCT Delhi, and a public service badge (issued in Delhi). Interesting, there is a fare detail under the law which all private operators seem to be flouting. It mentions Rs 15/km as day time charges, which is less than almost every operator. It remains to be seen how fast the government is willing to move in granting new licenses to Ola, Uber, or any other App-based operator. Clearly, these companies do not think that the process will be fast, as is indicated by their reported search for acquisition targets amongst smaller radio cab operators who already have licenses. This is something that the government should look into – it is good (and needed) to bring in regulations and accountability, but it cannot be done at the cost of losses incurred waiting for excessive delays in the license-granting process. On a longer term basis, it brings all operators under the ambit of same regulations (radio-based, app-based, and even traditional taxies who have been allowed to associate with an operator). This shall definitely level the playing field, something that the radio cabs have been, fairly, clamoring for. It will be interesting to see how much the Delhi government drives the compliance of fare laws as per their regulations. Even without the bans in place, it was expected that radio taxies will corner a significant share of the app-based operators’ business in the short term. This is likely to hold true for some time – but the key question is, just because all these operators have licenses, does that mean that their drivers have been vetted sufficiently thoroughly to be safe? Hence, does the license ensure safety of passengers? What do you think needs to be done to ensure increased passenger safety while not sending a message of a business-unfriendly environment to the private sector? Let us know in your comments below. The requirement for GPS tracking devices to be made mandatory is a welcome move for vehicle tracking system operators. In fact, a complete fleet management solution is a must for cab operators all over India.